This short wrap dress is a versatile piece for your wardrobe. 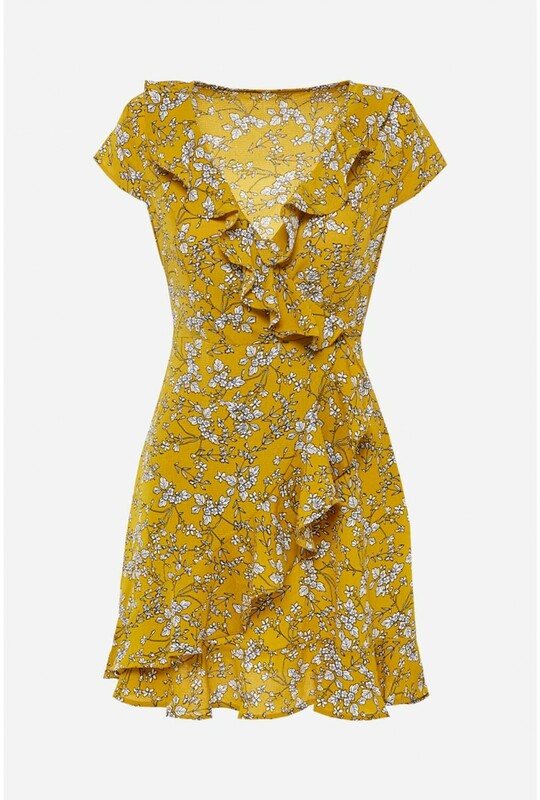 In all over floral print, on a vibrant mustard base and frill detailing. For casual days wear with a denim jacket and trainers.